George Sykes an entomologist gave us a fascinating and most informative talk using his wealth of experience advising governments at home and overseas to maximise crop productivity. He explained that the natural system is in equilibrium, but cultivating a garden upsets that, giving an opportunity for some species to multiply and become pests. He took us through the history of chemical controls to less invasive ways of dealing with common garden trials. He finished by saying that in many ways the human thumb is the best biological control! An informative and entertaining evening. Ideas for controlling pests and weeds were also suggested by members during discussions after the talk such as milk for controlling mildew and ‘Grazers’ for controlling damage by rabbits, deer, pigeons and geese (http://www.grazers.co.uk/). See the gardening tips page for more information. 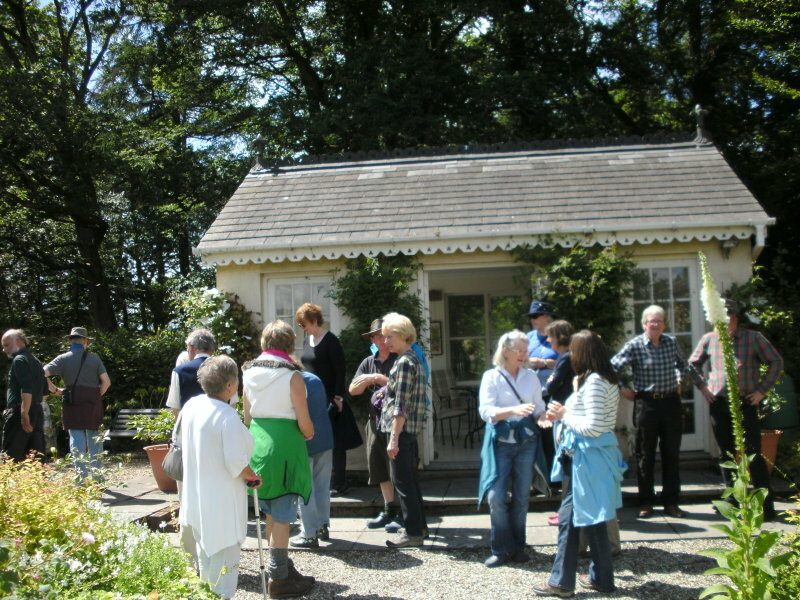 On Sunday 28th June Cothi Gardeners had their inaugural ‘Inspirational Visit’ to Llanllyr garden at Talsarn (https://www.facebook.com/Llanllyr). 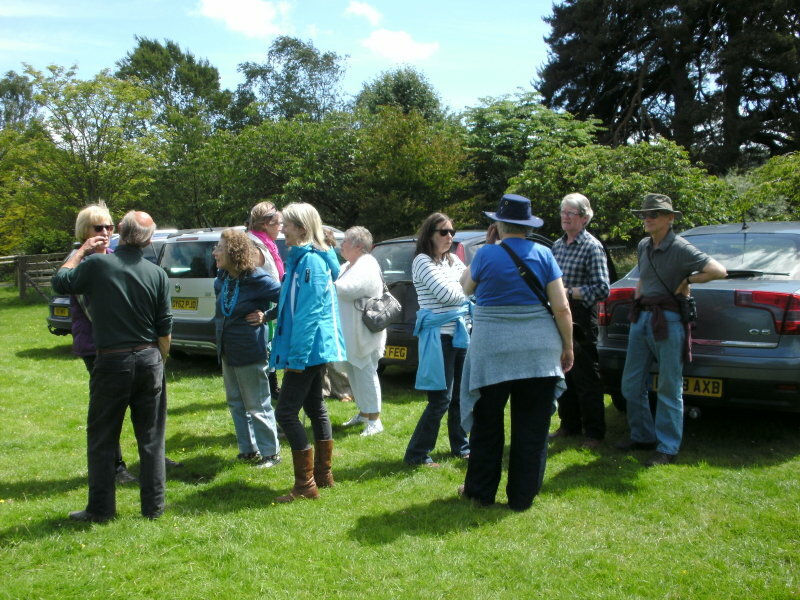 We enjoyed the sunshine and were shown around the wonderful and indeed inspiring gardens by their creators Mr and Mrs Gee, the current owners of the property. Highlights were the rose garden which was in full bloom, the scents and colours quite amazing, the pool and the random flowering of white foxgloves throughout the garden giving a unity to the whole. 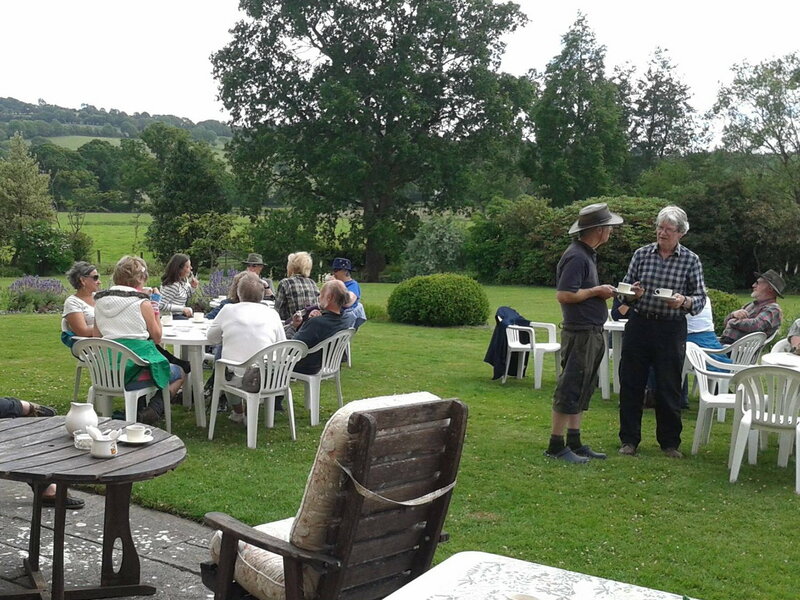 The afternoon finished with a Welsh tea on the lawn – perfect!